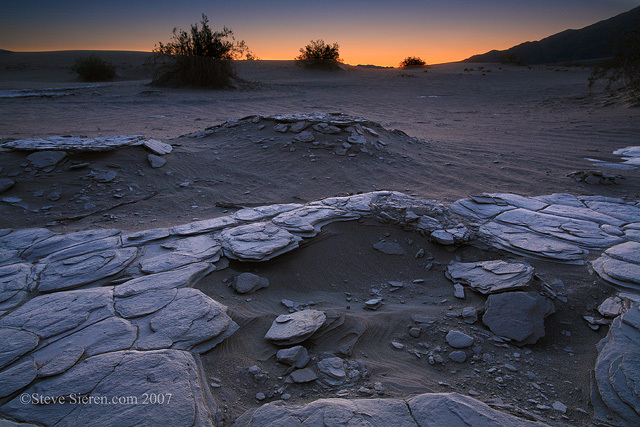 When the light is gone in Death Valley it takes on a subtle and peaceful feeling. This is a place where you may find desolation if you seek it out. You can watch the moon set and hear nothing but the wind. 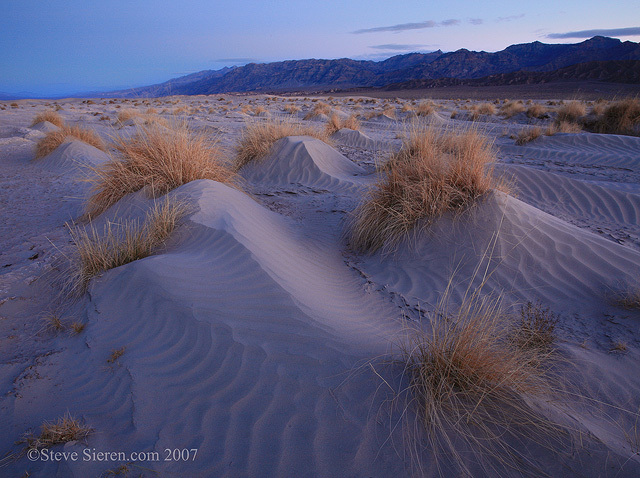 Twilight is a time to watch the golden hues of the desert slowly disappear into the night sky. And maybe watch them reappear as night turns to day once again. This entry was posted on May 2, 2011 at 1:06 pm and is filed under Uncategorized. You can follow any responses to this entry through the RSS 2.0 feed. You can leave a response, or trackback from your own site. I like these more subtle images, Steve. Nice use of the light and beautiful skies. 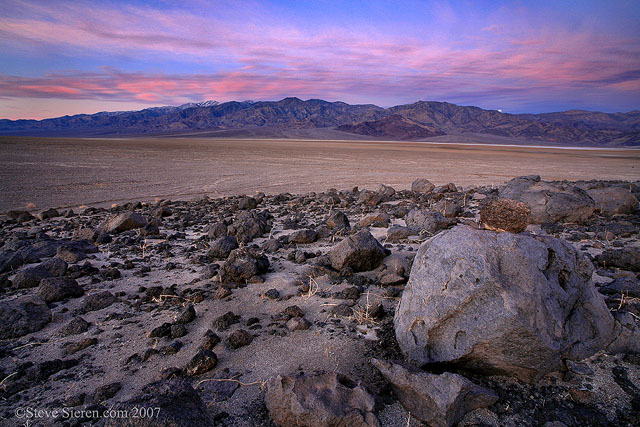 Of course I am partial to Death Valley and love the twilight moment when the sun sinks, the wind dies down, you feel the lingering warmth of the desert and the only sound is the buzz of a few insects. Steve… beautiful and calming photographs of a favorite place that truly capture those special and personal moments when everything is quiet. Thanks David H., Not all the work nowadays needs to scream. David P, thank you. Death Valley truly is one of those magically places. I just came across your blog via David Leland Hyde’s and am glad to have found it. Some beautiful, original and evocative images of places I’d love to visit and shoot some day.